Ingalls Harbor will be separated from the Tennessee River by netting and stocked with 500 pounds of channel catfish, with some tagged for prizes. There will be five rounds of fishing for 30-45 minutes with a maximum of forty children per round rolling the harbor. When not fishing, children can check out the various booths displaying the products and services of area businesses, corporations and industries who utilize the Tennessee River in the Ingalls Harbor Pavilion. According to Decatur Parks and Recreation, the overall goal of the event is to raise awareness and appreciation of the Tennessee River which has been central to the establishment, growth and vitality of Decatur and Morgan County as well as North Alabama. Children will learn responsibility for our natural resources, how the Tennessee River is so important as a water source, how it is unique in providing for goods and services and extending the manufacturing complex of the area to other parts of the country and world. The event fee is $20 per person and the first 200 to pre-register receive a t-shirt, fishing pole and tackle. Parents and volunteers will offer assistance throughout the event and there will be instructors available to teach the basics of preparing tackle and fishing. Governor Robert Bentley has appointed Tami Reist, president of the Decatur/Morgan County Convention and Visitors Bureau, to the Scenic Byway Program Advisory Council, effective immediately. Her term of service will run concurrently with Governor Bentley’s term of office. Patterned after the National Scenic Byway Program, the Alabama Scenic Byway Program seeks to identify, preserve, protect and enhance scenic, historic, natural, recreational, cultural and archaeological resources; enhance recreation; and, promote economic development through tourism and education in the history, culture and natural beauty of Alabama. A Scenic Byway is a stretch of roadway that provides an exceptional travel experience through the State of Alabama. The following are state designated byways: Appalachian Highlands Scenic Byway, Barbour County Governor’s Trail, Black Belt Nature and Heritage Trail, Black Warrior River Scenic Byway, Leeds Stagecoach Route, and Lookout Mountain Parkway. The Natchez Trace, Selma to Montgomery All American Road, Talladega Scenic Byway and Alabama’s Coastal Connection are nationally designated byways. For more information, visit www.alabamabyways.com. 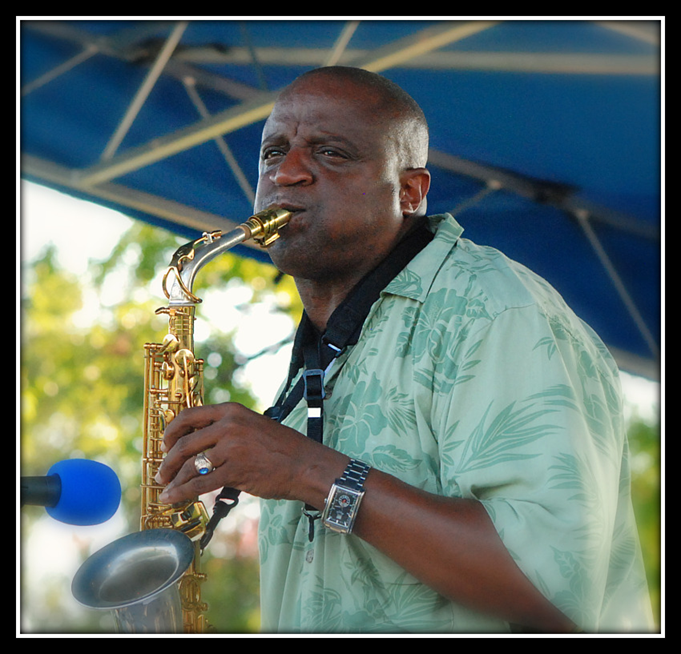 welcomes Reginald Jackson and Friends as the final performer in the 2012 Concerts by the River season on Monday, August 27, 2012. The free concert will take place from 6:00-8:00 PM at Rhodes Ferry Park. For updated schedule information, please call 256-341-4818 or visit www.decaturparks.com. In case of inclement weather, cancellation decisions will be announced after 4:00 PM on the DPR website and will also be posted on the DPR and Decatur, Alabama Facebook pages. A dynamic performer on the saxophone, keyboard and other instruments, Reginald Jackson is a true “musician’s musician.” His soulful style combines elements of contemporary jazz, blues and gospel to produce a sound that is uniquely “Reginald.” A Decatur native, Jackson has a Ph.D. in Music Education from Florida State University, and travels the world conducting workshops, keyboard seminars and performing on the piano, saxophone and organ. Jackson has traveled the world participating in Gospel music workshops in diverse places such as Incirlik, Turkey. He has published several books on learning to play the piano and keyboard by ear, and serves as Minister of Music at St. Stephens Baptist Church, the Pentecostal House of Prayer and El Shaddi Ministries. Jackson has also recorded six CD’s, including Walking in My Destiny and I’m Still Here. Jackson will be joined in this concert by some of his most talented students for a night not to be missed! For more information on Reginald Jackson, please visit www.jrjmusic.org. The 14th Alabama Cavalry, the 3rd Tennessee Cavalry, and Camp 580 Sons of Confederate Veterans will host the Battle for Decatur Civil War Reenactment September 1-2, 2012 at Point Mallard Park in Decatur, Ala. The annual event commemorates the four day battle which took place in October 1864, telling the story of Decatur’s small, but significant role in the War Between the States. More than 200 reenactors representing both northern and southern forces will transform the 500-acre municipal park into a weekend encampment complete with mock battles. On Saturday and Sunday from 10 a.m. to 1 p.m. and 3 to 5 p.m., the Civil War camp featuring displays of authentic equipment, dress, and drills is open to the public with maneuvers and battles taking place at 2 p.m. The Union troops will win the day during one battle reenactment while the Confederates will capture the contested ground during the next day’s skirmish. Other activities include a living history of daily camp life where spectators are encouraged to visit with soldiers, Civil War relic displays, drill and firing of mid-19th century muskets mounted cavalry patrols and Civil War related items for sale by sutlers. Everyone is invited to a ladies’ tea at 9:30 a.m. and to the Military Ball at 7 p.m. Both events are held on Saturday at The Chapel in Point Mallard Park. The two-day event is held at Point Mallard Park and admission is free. For more information on the Battle for Decatur reenactment, call the Decatur-Morgan County CVB at 800.524.6181 or 256.350.2028. 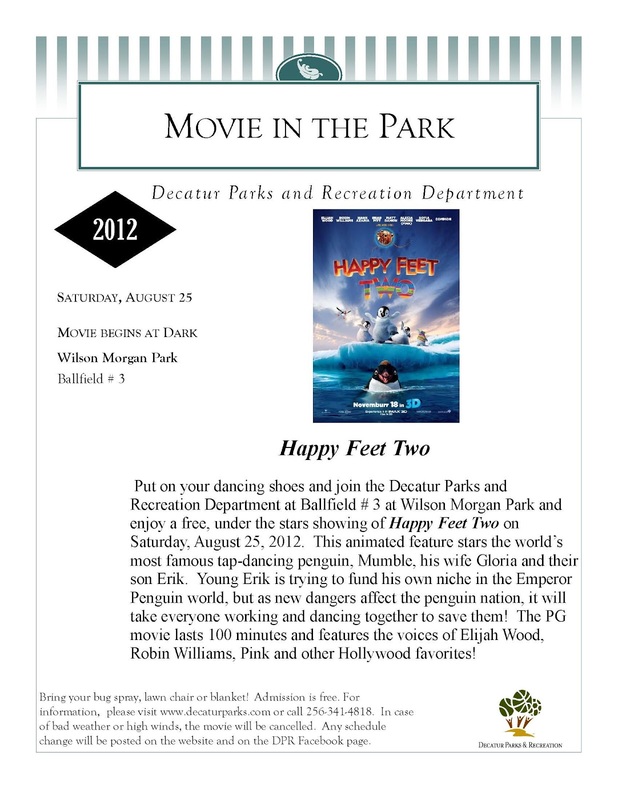 Put on your dancing shoes and join the Decatur Parks and Recreation Department at ballfield # 3 at Wilson Morgan Park for a free, under the stars showing of Happy Feet Two on Saturday, August 25. This animated feature stars the world’s most famous tap-dancing penguin, Mumble, his wife Gloria and their son Erik. Young Erik is trying to find his own niche in the Emperor Penguin world, but as new dangers affect the penguin nation, it will take everyone working and dancing together to save them. The PG movie lasts 100 minutes and features the voices of Elijah Wood, Robin Williams, Pink and other Hollywood stars. All movies begin “at dark” and guests should bring blankets, lawn chairs and snacks. The free “Movie in the Park” series is sponsored by the City of Decatur Parks and Recreation Department. Efforts are made to select family-friendly or classic movies for audience viewing, however, parents are encouraged to review movies in advance for appropriateness to age, content and interests. Additional information on the movie can be obtained by contacting 256-341-4818 or visiting http://www.decaturparks.com/account.php?accountid=71. In case of inclement weather, cancellation information will be posted on the DPR website and on the DPR and Decatur, Alabama Facebook pages. Each year, boys and girls, ages 6 months to 13 years are needed to be photographed and filmed for advertising including television commercials, print advertising, internet ads and billboards. Models are also featured in the Point Mallard’s upcoming Souvenir Calendar featuring a variety of venues and activities found within the 750+ acre park. To find these cute kids, the park’s marketing department launched an online model search to seek out new faces. Models will now be interviewed and photographed to narrow the field down to 25. The contest began in April and ran through Midnight Wednesday evening in search for faces for the Park’s 2013 Advertising campaign which will include a large marketing plan to promote the waterpark’s new attractions to be completed in May of 2013. Since 2006, Point Mallard Park in Decatur, Alabama, has launched its own model search as part of their annual advertising campaign. Each year park’s marketing director features “real” local kids for the next season’s ads including billboards, commercials, print ads and more. In 2012 alone, an impressive 1,254 kids were entered in the contest. August 20, 2012 Concerts by the River will feature music that celebrates the many different elements embraced in the American musical tradition. Vocalist Briana Dean and her band will perform at 6:00 and will be followed by Red Headed Stepchild at 7:00. All concerts are open to the public and are held at Rhodes Ferry Park. Concerts begin at 6:00 PM and usually conclude by 8:00 PM. For updated schedule information, please call 256-341-4818 or visit www.decaturparks.com. In case of inclement weather, cancellation decisions will be announced after 4:00 PM with information posted on the DPR website at www.decaturparks.com and on the DPR and Decatur, Alabama FACEBOOK pages. Briana Dean is a 25 year old singer/songwriter who will be making her debut performance at Concerts by the River in 2012. This Decatur resident has been performing on stage since the age of five and has opened for seasoned artists such as Loretta Lynn, Collin Raye, Sammy Kershaw, John Anderson and Richie McDonald of Lonestar. Dean has also traveled overseas to entertain US troops. Briana Dean will be accompanied by her band which includes members Justin Miller, Garrett Dean and Gatlan Vinson. Find out more about Briana Dean at her Facebook page. After a four-year hiatus, the American Queen returns to the waterways in 2012 with two visits to Decatur for on-shore excursions planned for its inaugural season. The American Queen will dock at Rhodes Ferry Park on August 18 from 9am-5pm and again on August 22, 2012 from 8am-4pm. The city of Decatur is included in two tours both featuring Civil War attractions. The ten-day Civil War-theme cruise en route from Vicksburg to Chattanooga will arrive at Rhodes Ferry Park on August 18th at 10 a.m. and will depart at 5 p.m. following the guided tour. Another voyage from Chattanooga arrives in Decatur on August 22 at 8 a.m. and will depart at 4 p.m. for Vicksburg. The guided tour will take passengers to the Carnegie Visual Arts Center, Old State Bank, Blue and Gray Museum, and St. John’s Episcopal Church. Originally built in 1995 by the Delta Queen Steamboat Company, the American Queen now operates under Memphis-based Great American Steamboat Company. According to the Great American Steamboat Company, the American Queen is the largest steamboat ever built at 418 feet in length and accommodates 436 guests. It is the only authentic overnight paddlewheel steamboat in America, and features exciting shore excursions, cuisine of famed American chef Regina Charboneau, nightly professional showboat-style entertainment, daily lectures by the riverlorian, an onboard river historian, and enthralling calliope concerts. For more information on the American Queen, visit www.greatamericansteamboatcompany.com and click on “The American Queen”. For more information on the upcoming visit to the city of Decatur, contact Tami Reist, president of the Decatur/Morgan County Convention and Visitors Bureau at 256.350.2028. 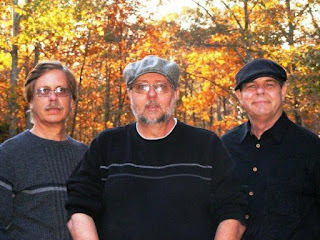 August 13, 2012 Concerts by the River will feature music from the Dan Hocter Trio at 6:00 followed by Kacy Fox and the 2-Timers at 7:00. The free concert series is held each Monday from May through August and all performances are held at Rhodes Ferry Park. Concerts begin at 6:00 PM and usually conclude by 8:00 PM. For updated schedule information, please call 256-341-4818 or visit http://www.decaturparks.com/account.php?accountid=70. In case of inclement weather, cancellation decisions will be announced after 4:00 PM with information posted on the DPR website and the DPR and Decatur, Alabama FACEBOOK pages. Decatur, Ala. – As summer winds down and children look to returning to the classroom, this time of year also means football season is gearing up. As any southerner knows, football, tailgating, and barbeque all go hand in hand, and to celebrate, 3rd Friday Downtown Decatur announces “Tailgate Time” for its theme for this month’s celebration set for August 17th. In addition, 3rd Friday also will help kick off Alabama Restaurant Week, a 10-day promotion inviting diners to experience the flavors of locally-owned restaurants. The festivities begin at 4:30 p.m. Bank Street Green will be offering Angus burgers, all beef hot dogs, pork, beer, ice cream, soft drinks, and spirits and from 5 to 6 p.m. Jimmy Dawes from the award winning BBQ team “Lil’ Bit ‘O Smoke” will be demonstrating techniques for backyard barbecuing and providing free samples. Auburn fans are encouraged to bring their camera to get a picture with Aubie who will be here all the way from Auburn University from 5 to 5:45 p.m.
Live music gears up at 5 p.m. with performances by Kim Stone (at Downtown Dawgs on Moulton Street), “Spirit of 76” (in the gazebo), Sweet Tones Dulcimer Ensemble from the Morgan County Dulcimer Association (in the 600 block of Bank Street), Jordan Landers (at Simp McGhee’s), and AB Boys (on Second Avenue). The Main Stage located in the 800 block of Bank Street will feature Tina Turner Impersonator Dorothy Cole. Her hip shaking music is slated to begin at 7 p.m.
All along Bank Street, antique and classic cars will be on display, Papa Murphy’s Pizza will be providing free samples of its pizza, and Babette Shedd will be face painting (for a nominal fee). Volkswagens will fill Second Avenue and a variety of arts and crafts will be on hand along both streets. Blocks of both Bank Street and Second Avenue will be closed with the cross streets open for traffic. Store specials, giveaways, and discounts will be offered at selected retailers and restaurants and many of the merchants will remain open until 8 p.m. Participating streets in 3rd Fridays include 2nd Avenue, Bank, Market, Moulton, Grant, and Johnston streets. Admission is free. Alabama Restaurant Week begins August 17th with Simp McGhee’s, Vittone’s Pizzeria Ristorante, Café 113, The Casual Gourmet, Timbuck2, and Albany Bistro participating. These restaurants will be offering special fixed-priced meals for lunch and/or dinner from Friday until Sunday, August 26th. For each restaurants’ menu and pricing, visit www.alabamarestaurantweek.com and click on Morgan County. For more information on 3rd Friday, call Ashley Ashwander at 256.355.8993. Decatur, Ala. – Free slices of America’s favorite summertime fruit will be available August 11th when the annual Watermelon Day returns to the Decatur/Morgan County Farmer’s Market. From 9 a.m. to 1 p.m. (or until supplies last), visitors will have the opportunity to sample many different varieties of locally grown watermelon including seedless, yellow, and red. In addition, Pepsi-Cola will be on hand providing free soft drinks and there will be an assortment of home-baked goods, flowering plants, and other locally grown fruit and vegetables available for purchase throughout the day. The Decatur/Morgan County Farmer’s Market, located at 211 First Avenue SE in Decatur, is open Monday through Saturday, 6 a.m. to 5 p.m. now through November 10, 2012. For more information on Watermelon Day, call Farmer’s Market Manager Burl Slaton at 256.476.5595. Point Mallard's Model Search tops 1100 entries...not over yet! Point Mallard marketing department seeks kids for 2013 advertising campaign – ends August 15, 2012. Decatur, Alabama – Since 2006, Point Mallard Park in Decatur, Alabama, has launched its own model search as part of their annual advertising campaign. Each year park’s marketing director features “real” local kids for the next season’s ads including billboards, commercials, print ads and more. Already, over one thousand one hundred participants have entered and the contest isn’t over yet. “Finding cute kids is not a difficult task at all,” said marketing director Julianne Lowman. “It’s narrowing it down to the final face that gets to be a problem!” She says narrowing it down to the top seventy-five semi-finalists can get tough. Lowman says at that point it simply comes down to meeting the child, and photographing them in a fun environment. “It’s then we really get to see the personality of the child.” She is looking for wholesome, natural faces. Parents can upload their children’s photographs free of charge to enter the contest online. Point Mallard will select 25 potential winners for onsite interviews based on photogenic ability. In addition, 50 more kids will be selected by the number of “votes” received to be auditioned for the final selection. As a fundraiser for the park, each vote costs $1. Family and friends vote online as often as they wish to select their favorite faces. A total of 75 kids will be auditioned and photographed for a chance to win the grand prize – their face on a billboard and commercial for the 2013 Point Mallard Park advertising campaign. Each of these 75 semi-finalists will receive a 2013 season pass to the water park, a $99 value. The Grand Prize winner receives a season pass for a family of four for the 2013 season. Twelve finalists will be selected to be photographed and featured in the 2013 Point Mallard calendar, and one grand prize winner will be filmed in a television commercial and be featured on billboards for the park! Other kids will also be kept in a “pool” of faces to be used at other times throughout the year. This is a rare opportunity for local kids to be cast in television commercials, print ads, billboards and calendar featuring all venues within the park. The 2013 Point Mallard wall calendar also includes discount coupons valued at over $250 and will be available in November of this year for $20 each. In addition to the other prizes, each child featured in the calendar receives one free. Point Mallard officials believe with the addition of a new lazy river, double drop speed slides and other improvements, the 2013 season will provide the models even more of an opportunity to be seen in publicity. The contest ends August 15, 2012. Finalists will be announced on the park’s website, Facebook and twitter pages. Former Point Mallard model search winners are ineligible to enter. Have a splashing good time at Point Mallard Park on Saturday, August 11, 2012 and enjoy the movie Dolphin Tale. (PG, 113 minutes) The movie stars Morgan Freeman, Harry Connick, Jr., Ashley Judd and Kris Kristofferson in a story based on true events. Winter is a young dolphin who loses her tail in a crab trap but is befriended by Sawyer, an introverted 11 year old who meets the dolphin at a marine rehabilitation center. Sawyer rallies friends and family to save the dolphin by convincing a pioneering doctor to build a prosthetic tale that restores the dolphin’s ability to swim. The movie will be shown on at the Spirit of America Stage. All movies begin “at dark” and guests should bring blankets, lawn chairs and snacks. The free “Movie in the Park” series is sponsored by the City of Decatur Parks and Recreation Department. Efforts are made to select family-friendly or classic movies for audience viewing, however, parents are encouraged to review movies in advance for appropriateness to age, content and interests. Please leave pets at home as they are not permitted on the soccer field. August 6, 2012 Concerts by the River will feature music that celebrates the many different elements embraced in the American musical tradition. Vocalist Michael Quarry will perform at 6:00 and will be followed by the Ben Parker Project at 7:00. All concerts are open to the public and are held at Rhodes Ferry Park. Concerts begin at 6:00 PM and usually conclude by 8:00 PM. For updated schedule information, please call 256-341-4818 or visit http://www.decaturparks.com/account.php?accountid=70. Vocalist Michael Quarry has been influenced by a wide array of musical genres including country, pop, oldies, jazz, contemporary Christian, gospel and rock. He will share his love of music with the audience by performing a range of songs from artists as varied as Mercy Me, Eric Clapton, the Temptations, Garth Brooks, Chris Tomlin and Shenandoah. Born in Fortaleza, Brazil, Michael Quarry is truly “from the south.” He was adopted from Brazil as an infant and was raised in Decatur, Alabama. He has been the Associate Pastor and Minister of Music of South Chapel Hill Baptist Church for seven years. He is married to Dede Parker Quarry and they have two children. 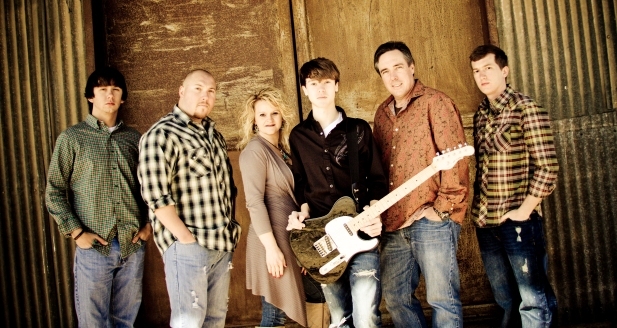 The Ben Parker Project is a country band with diverse roots running through many different genres of music. Their sound is anchored by 14 year old Ben Parker, who has been called a guitar prodigy. The rest of the band brings their musicianship and vocal diversity to complete the sound. 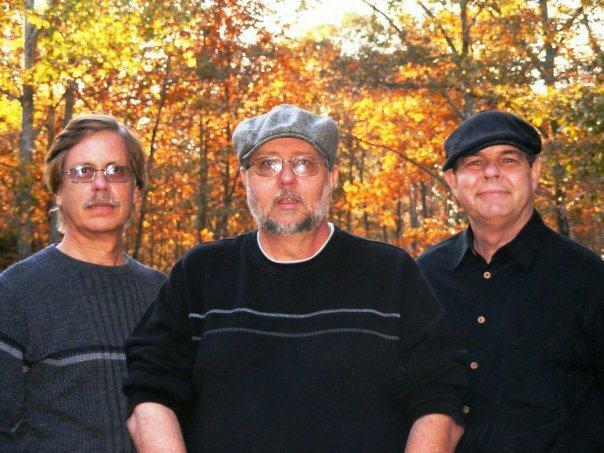 Their shows feature high energy performances with primarily country selections from Hank Williams to Keith Urban, but you will also hear an occasional blues, classic rock, or gospel tune due to the influence of their musical heritage. The show provides something for every member of the family to enjoy! Band members include Ben Parker (lead guitar, vocals); Zach Lowery (acoustic guitar, vocals); Ryan Gilley (drums); Jacob Walker (keyboard and vocals); Kendra Parker (vocals); and Gaylon Parker (bass guitar, vocals.) 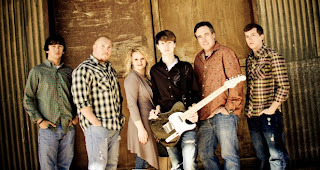 Learn more about the band on their Facebook page or by visiting www.benparkerproject.com.